Black Bird Symbolism and Myths, Druid believes of the otherworld. Blackbirds are, for some people, considered a good omen. Others believe that the Blackbird brings the lessons learned in meditation. It is also associated with travel to the Otherworld and the mysteries found there. Blackbird people are good to call upon when spiritual matters are at hand, and often, while rare, they are the best people to have when in a group. The blackbirds iridescent black plumage holds the energies of mysticism and magic. 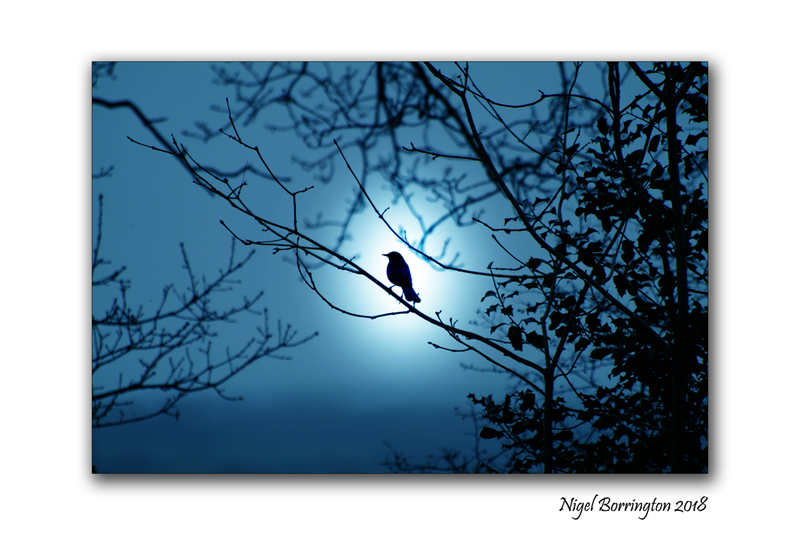 Druid legends say that the birds of Rhiannan are 3 blackbirds which sit and sing in the World tree of other worlds. Their singing puts the listener into a sleep or a trance which enables him or her to travel to the otherworld. It was said to impart mystic secrets. Those with this medicine often have a hypnotic influence on others as well as an uncanny ability to move between the seen and unseen worlds with clarity. They make excellent shamans and trance channellers. Blackbirds are timid and prefer their own company over the company of others. In humans shyness and insecurity in group settings is common. Vulnerable to outside influences those with this totem need to remember to clear accumulated influences from their energy field on a regular basis. The male’s distinctive song during breeding season is loud and melodious with flute like qualities. Males often sing from high perches and both sexes produce a variety of sounds which include mimicking other birds. Blackbird medicine people love to sing and have the ability use their voice to heal and inform. They are also good ventriloquists. Blackbirds spend much of their time on the ground. Its locomotion includes walking, climbing and hopping forward and backwards. They forage for food in open spaces although cover is always near by. When foraging in leaf litter under trees they sound like people walking . In humans this suggests an ability to remain grounded in the earth energies while walking a spiritual path. When resting the blackbird is frequently seen stretching, legs extended back, side wings in full extension, tail spread, and the head tilted to one side as if listening. Yoga and movement therapy are beneficial for those that hold this totem. The blackbirds flights are low, short and undulating but fast and direct over open country. They move with determination and focus and can teach us how to do the same. This entry was posted on January 25, 2018 by nigel borrington. It was filed under irish woodlands, Nature, Nature and Wildlife, Nigel Borrington, Pagan, Story telling gallery, The Pagan world, Winter colour, Winter landscape and was tagged with Blackbird, Druid believes, mythology, Myths, Nature photography, Nigel Borrington, otherworld, Pagan, pagan beliefs, Pagan symbols, Symbolism. Fascinating, Nigel, we have several visiting our garden!